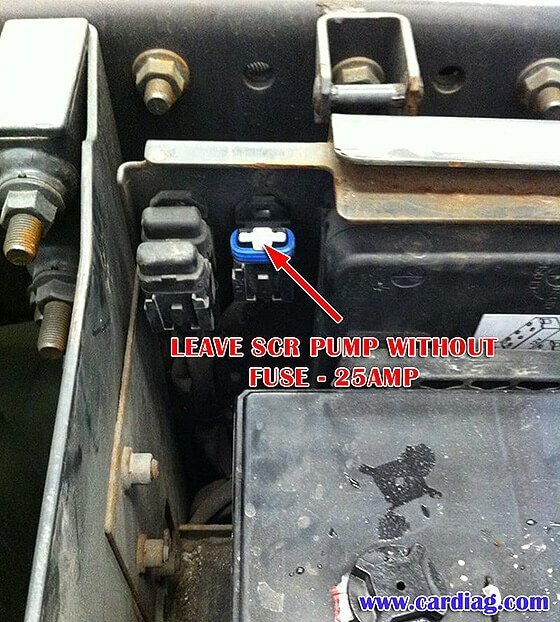 AdBlue Emulator V5 NOx is compatible with several Renault Magnum and Premium trucks. 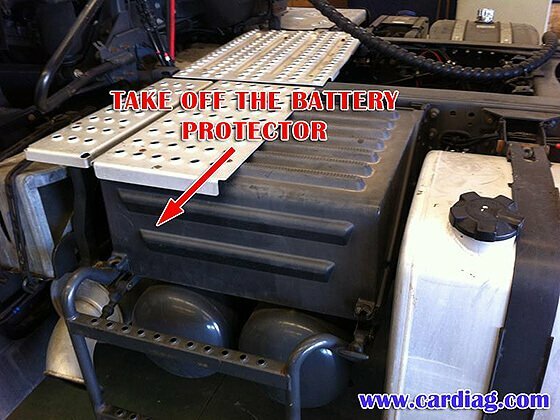 Below is the installation manual of V5 AdBlue emulator for Renault vehicles. Before installing AdBlue Emulator V5 NOx on Renault truck, please make sure that you have emulator programmed to Renault program. You can order pre-programmed emulator, or you can change the program by yourself anytime you want. This manual refers to Renault Magnum and Renault Premium trucks. First of all, you need to switch off ignition and wait till the full shutdown of all systems. 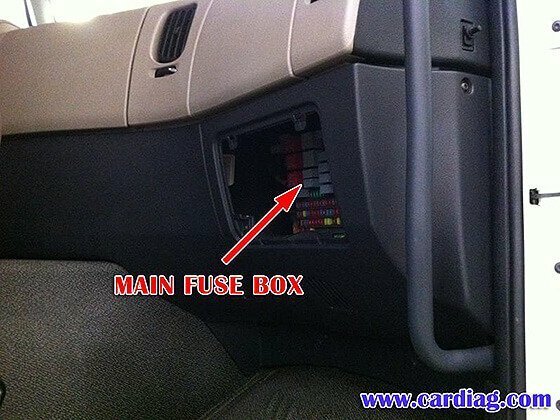 Now you need to locate fuse box cover, and you can find it on the right side of the cabin of the truck. 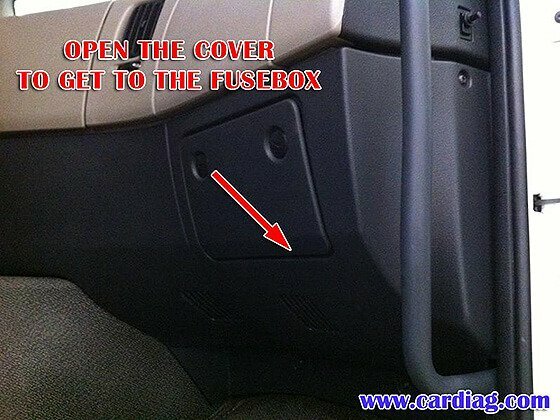 Open the cover to access fusebox. 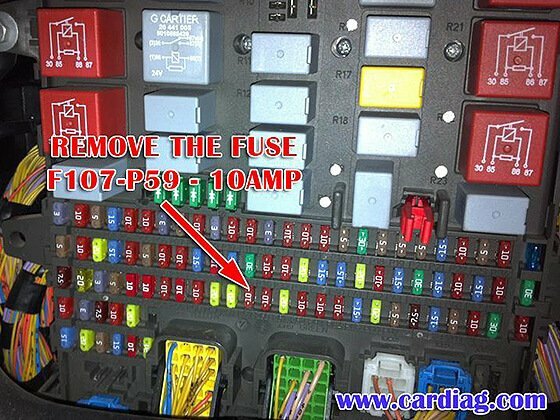 Now you need to remove fuse F107-P59 (10A). 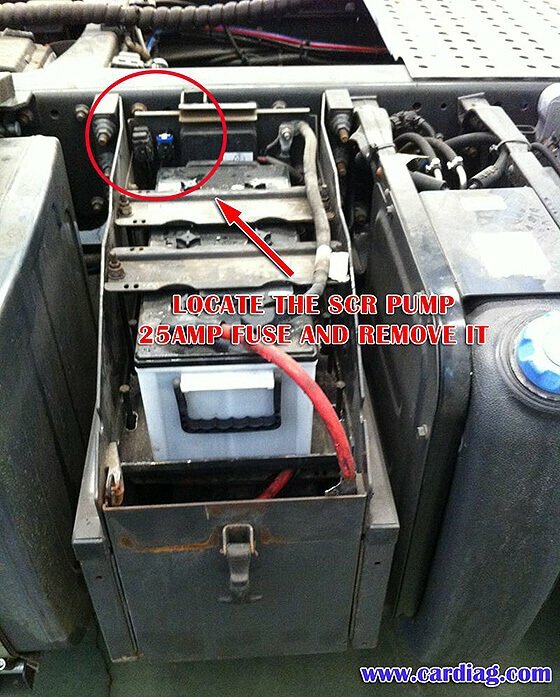 Depending on the vehicle type you need to: a) locate the SCR pump near the battery and remove the pump fuse (25A); b) remove the battery protector, remove fuse cover and remove the fuse (25A) itself. 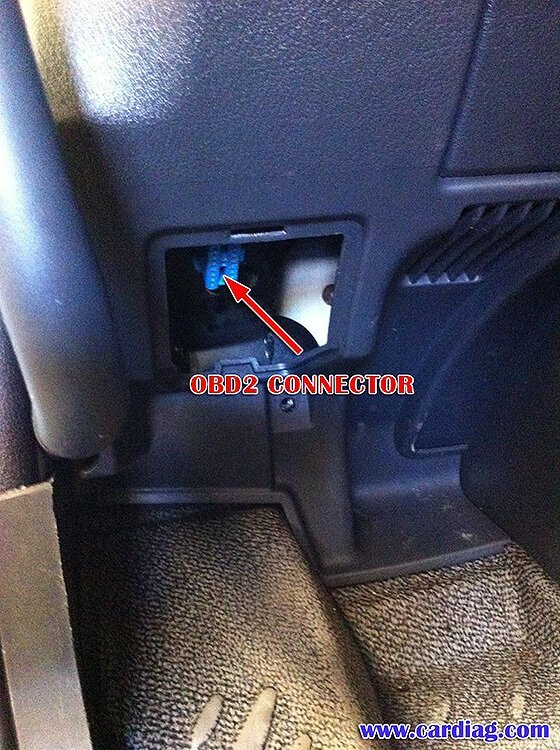 Now you need to locate OBD2 connector. You can find it on the left side of the cabin (left side under the steering column). 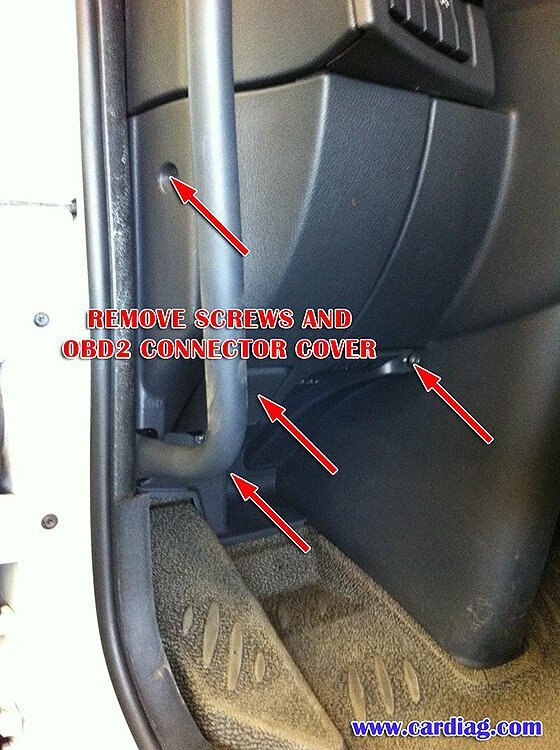 Remove screews and you’ll find OBD socket. Unclip socket carefully. 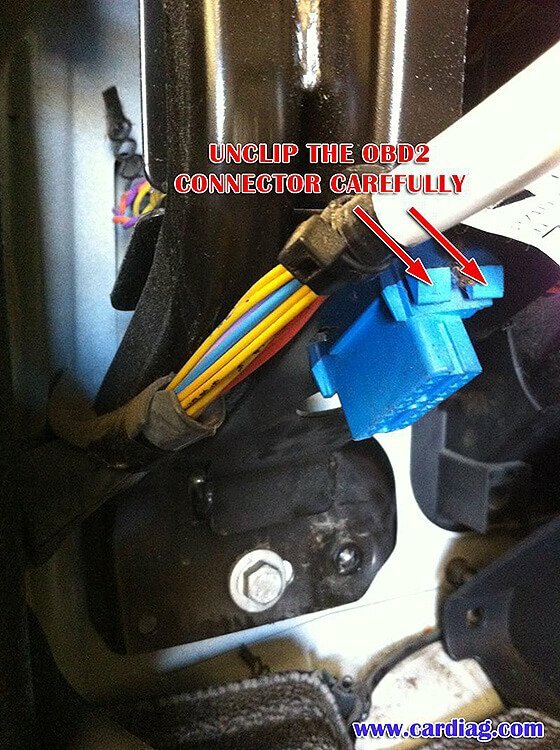 Now you need to connect emulator wires to the corresponding OBD socket wires. First of all you need to connect GROUND wire, black wire of the emulator to the wire of the socket (PIN 5). Do not connect other emulator wires if the ground wire is not connected. It is necessary for safety reasons. 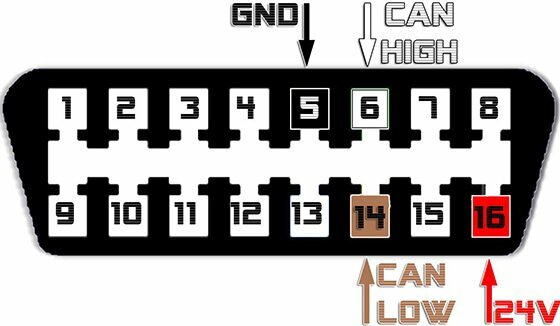 Now connect white emulator wire to PIN 6 (CAN HIGH), brown emulator wire to PIN 14 (CAN LOW) and finally red wire to PIN 16 (POWER +24V). Now you can start the engine. 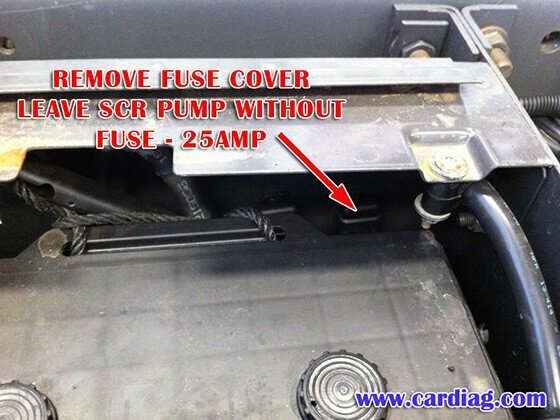 Check if there are no errors related with the SCR (Selective Catalytic Reduction) system. 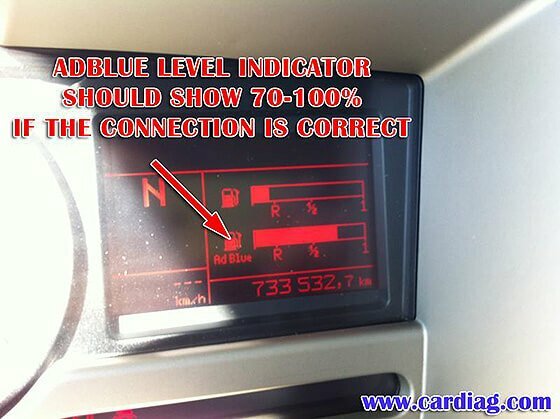 The DEF (Diesel Exhaust Fluid) level indicator should be at 70%-100% mark depending on vehicle model. 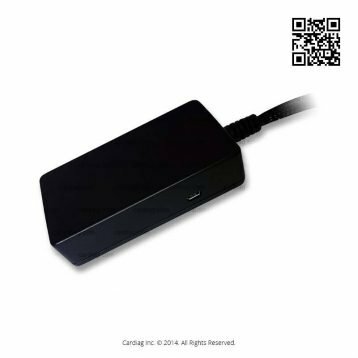 AdBlue Emulator V5 NOx installation manual for Renault trucks was last modified: May 26th, 2017 by Cardiag Inc.